India’s top court on Wednesday cleared the hurdles for the implementation of foreign direct investment (FDI) in India’s retail sector. Noting that “consumer is king”, the court said that the new policy aims to throw out middlemen, “who are a curse to Indian economy”. The bench in its order said: “It is thus left to the choice of state governments whether or not to implement policy to allow FDI up to 51 per cent in multi-brand retail”. During the hearing, the bench said the policy of FDI in multi-brand retail was discussed and debated in detail in both Houses of the Indian Parliament before it was voted in. 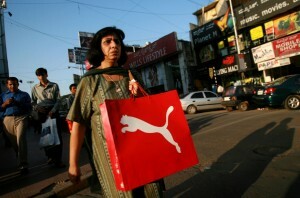 The bench noted that the policy was prepared after detail study of the economy of developing countries like China, Brazil, Argentina, Singapore, Indonesia and Thailand where FDI is permitted up to 100 per cent, local retailers co-exist along with organised retail and are integral in the organised retail chain. An Economic Advisory panel reported last week that foreign direct investment (FDI) in India is expected to increase to $36 billion this fiscal year on the back of supportive policies. “For 2013-14, we are projecting that with supportive policies it is possible to generate higher levels of inbound FDI flows of the order of $36 billion, comparable to four of the previous six years,” the prime minister’s Economic Advisory Council (PMEAC) report said.